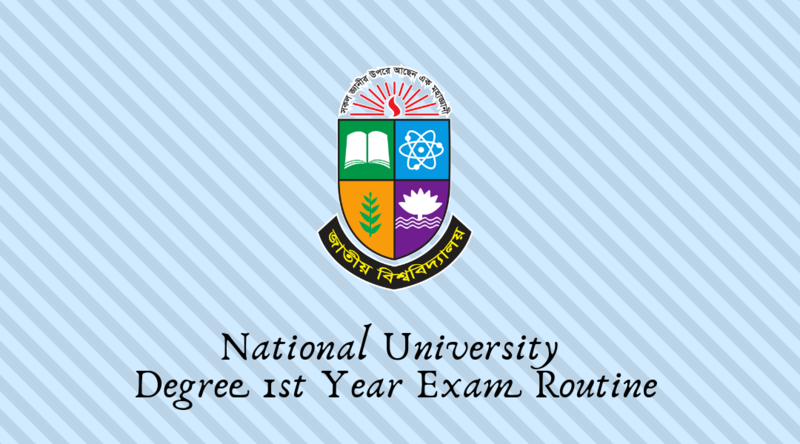 National University Degree 1st Year Exam Routine 2019 has been published with all the center list. According to the National University announcement, theoretical exam of NU Degree 1st year exam 2019 will be starting from April 20, 2019. All the theoretical exams will be finished on May 23, 2019. National University hasn’t announced the practical exam routine yet. We will share National University Degree 1st year practical exam routine 2019 as soon as we get it from the NU authority. Practical Exam date: Not published yet. According to the official website of National University, Degree 1st year exams will be held on 2:00 PM or regular days. But during the holy month of Ramadan, this time will be changed. In the month of Ramadan, the exam will be started from 9:00 AM. NU Degree 1st Year Exam center list hasn’t been published yet. Please stay tuned with us. We will update the center list here.